Choose our Ukraine Based Dedicated Server Hosting plans that flawlessly suits your company demands. our Dedicated Server Hosting provide outstanding performance at a very low cost. 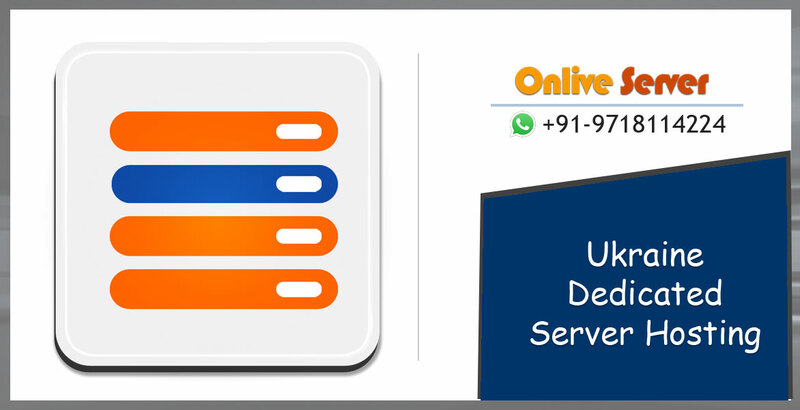 our company knowing that what customer wants and demands to their Business and which type of services need to customer so, Onlive Server is providing the Cheap and Best Dedicated Server Hosting plans. Its providing web Hosting services in more than 35 countries with high quality of resources services are very secure because they protect your data from malicious attack such as Spyware, Viruses and many more. we prevent your data from DDoS protection so your information is completely safe and secure. Ukraine Dedicated Server Hosting also provides a huge space for storage at an incredibly high speed which is help you expand your Business. Our Ukraine Dedicated Server Hosting plans are robust and provide excellent performance, which is the very important business requirement. our Dedicated Server Hosting highly scalable helpful both small and large business needs by allowing the users to add up more space reduce the necessity of additional servers. Our Linux and window based Ukraine Dedicated Server Hosting offer unlimited control to the customer, not only get access to the full roots, but also give them the authority to configure the hardware and software according to their requirements. Starting price of our Ukraine Dedicated Server Hosting is only $99 per month. Onlive Server provide CentOS, Fedora Core, RedHat, Debian, Ubuntu and many other Linux available for our Dedicated Server Hosting Plans. when you choose our Dedicated Server Hosting Plans, you have two options: you get fully managed Dedicated Server Hosting Plans and then manage it yourself, within your own environment, with your own set of expertise so, you choose our Fully Manage Dedicated Server Hosting Plans from onlive Server we manage for you with control panel support to cPanel and Plesk, you can host multiple domains; Email accounts; create FTP accounts. We take the fully responsibility From installation to maintenance, our responsible support team ensures to meet your every Business requirement. you need your online presence and keep your applications, databases always upto dated and running with robust Network, CPU, RAM and disk I/O performance. we manage all the configurations that need to be performed on your server. We have excellent client support team that solve any kind of issues 24/7. Choose the our Dedicated ServerHosting Plans that fits your needs or get in touch with us, Call +919718114224, Email, Skype and also with Live Chat. we’ll help you find the ideal plans for your business.